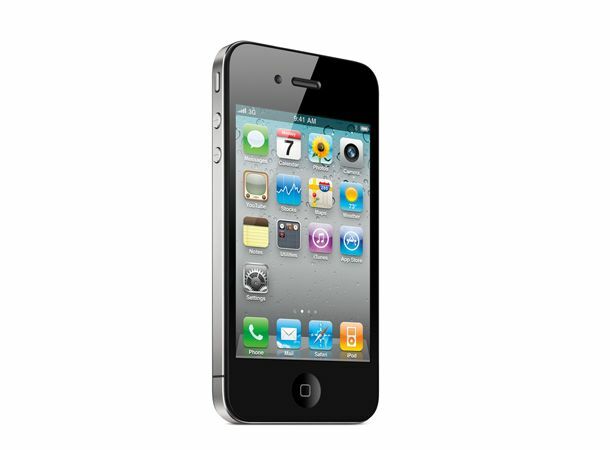 From the moment the first photos were leaked, until Steve Jobs officially revealed the Apple iPhone 4 at the WWDC, the iPhone 4 has been one of the most eagerly anticipated gadgets of the year. From the gorgeous design, to the wealth of new features and intriguing Retina display, it has us salivating well ahead of the launch. The iPhone 4 is a mass of glass and metal, so it must be heavy enough to stretch your jacket out of shape, right? Actually, not so much. Pick it up and it feels smooth, and pleasingly cool to the touch. It's noticeably slimmer than the other current models, the 3G and 3GS. But it doesn't weigh you down. It's a whole new design – classier by far than the plastic and chrome-edged 3G-toting phones. Will you want a case, even the Apple-made acid-bright bumper? Surely you'll want to feel it in your hand. And programs like iBooks on the iPad and iPhone excel because they make the experience so intimate and accessible: why would you want anything to come between you? The newly named iOS4 operating system makes multitasking straightforward and intuitive – the Home button double-press to launch it is simple enough. And, boy, is it fast? It's more responsive than a presidential bodyguard on speed. That A4 chip which speeds the iPad along seems every bit as nippy here – the same leap forward as between last year's 3GS and the phone before. But if there's a stand-out feature, it's the screen. How much sharper and brighter could it be? None more sharp and bright. The level of detail makes text look punchy and photos taken on the phone's 5-meg camera work so much better than on earlier iPhones, with the LED flash a welcome addition. HD video is a revelation. The iMovie app offers accessible editing to make sure you have the content you want. Any chance of an HDMI out video adaptor, Mr Jobs? The screen makes FaceTime look good, too. Sure, video calling is nothing new, but the hi-res display and option to switch between cameras so you can show the person you're talking to what you're looking at work well. The jury is out on the gyroscope – though it got by far the biggest whoop of the developers in the room – so maybe it'll be like the digital compass: much more crucial to innovations than we can guess. Unlike the 3G and 3GS, the Apple iPhone 4 delivers the lip-smacking sense of anticipation of the original iPhone, and beats that handset for wow factor. Read our full review of the Apple iPhone 4 next week.